Celebrating Fringe Opening night with Yabarra - Gathering of Light. 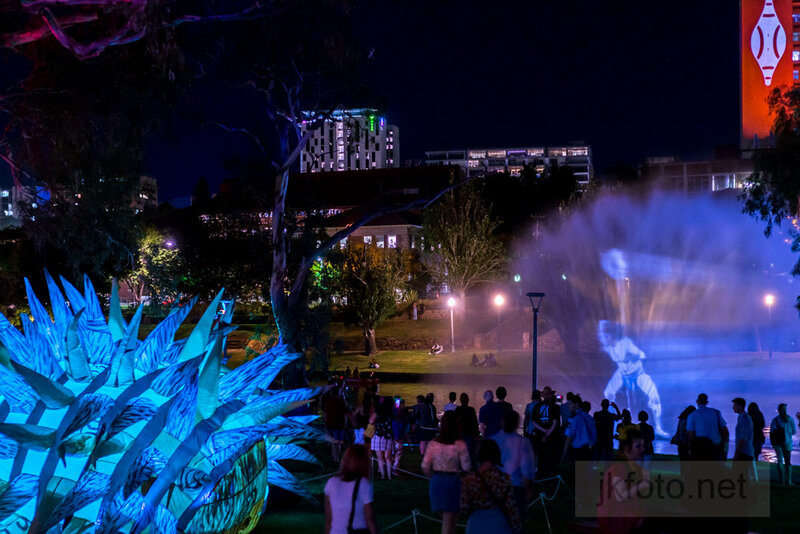 Fabulous special effects/ projected light over tree scapes & Water fountain curtains at the River Torrens, Adelaide University Footbridge. This exhibition will run nightly till 17/3/19. An awesome exhibition not to be missed.